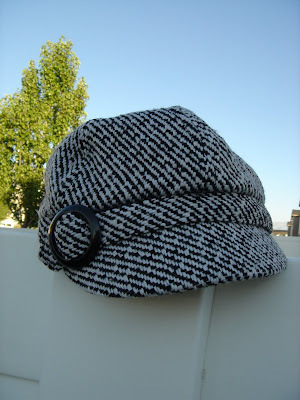 This hat will keep you warm all winter...the fleece lining adds to it! 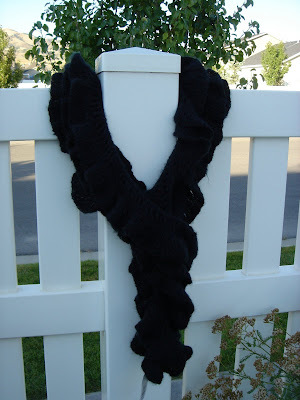 The Boho scarf is adorable. 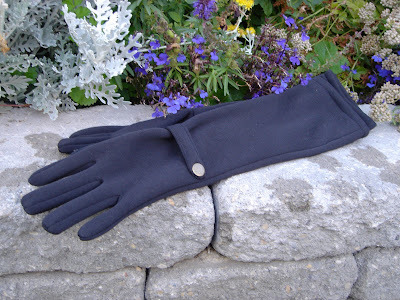 The extra long length allows you to wear it many ways. 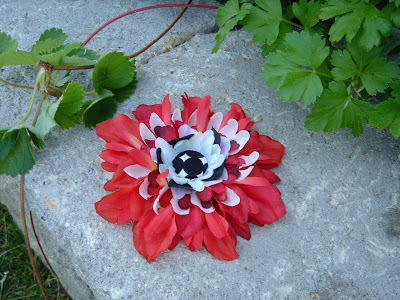 The flower clip shown here has a forked alligator clip so that you can easily clip it on to just about anything! 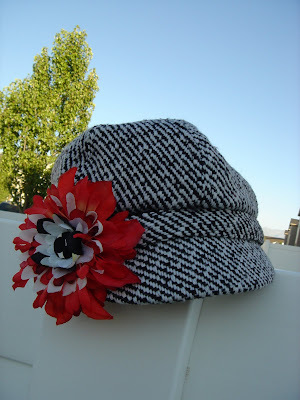 A Black 10% acrylic "Boho" scarf, 3/4 length cotton/poly blend fashion gloves, acrylic/wool blend muffy style cap & a red, black and white flower clip. Total retail price $53. These items are all great gift items or a great treat for yourself. Remember to bid high, the Nielson's need your help. the bidding is starting at $53!